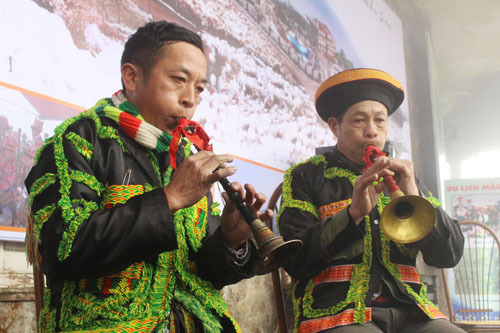 The one-day festival was held in Lang Son Province, home to Tay, Dao and Nung ethnic minorities. Lang Son’s Department of Culture, Sports and Tourism held its Mau Son Summer Tourism Festival in Loc Binh District on July 9, attracting thousands of people and tourists, the Vietnam News Agency reported on Saturday. Mau Son is a popular mountain in the province. 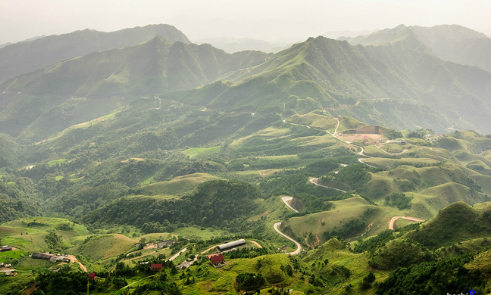 Located some 30 km north-east of Lang Son City, the mountain boasts a pristine landscape, pure air and cool weather all year round. Tourists often flock to the mountain to enjoy its beautiful streams and waterfalls as well as experience snow in winter, which is rare in Vietnam. The area is well-known for its specialties, such as peaches, Tuyet Son tea, wine and rare cockerels with six spurs. The Tay, Dao and Nung ethnic minorities live there. During the event, visitors took part in a food festival with traditional Dao dishes, an art exhibition held in the old French villas and many other cultural and sporting activities such as lion dancing, folk singing, a cycling race and mountain climbing, according to Be Thi Thu Hien, deputy director of Lang Son’s Department of Culture, Sports and Tourism. During French colonial times, Mau Son was a popular attraction for the French upper class in Vietnam. The rulers also set up a military station there in the 20th century to protect the border.